Designed and printed by Jamie Murphy. 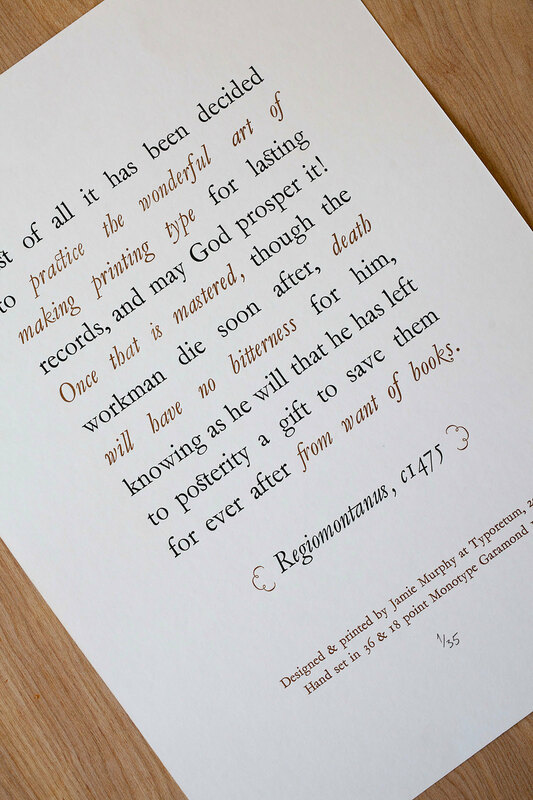 This quote has been hand set in 36 point Monotype Garamond 156 (with an interesting and vast array of ligatures) and printed on a Swiss made 1960’s Geitz parallel platen press at Typoretum. 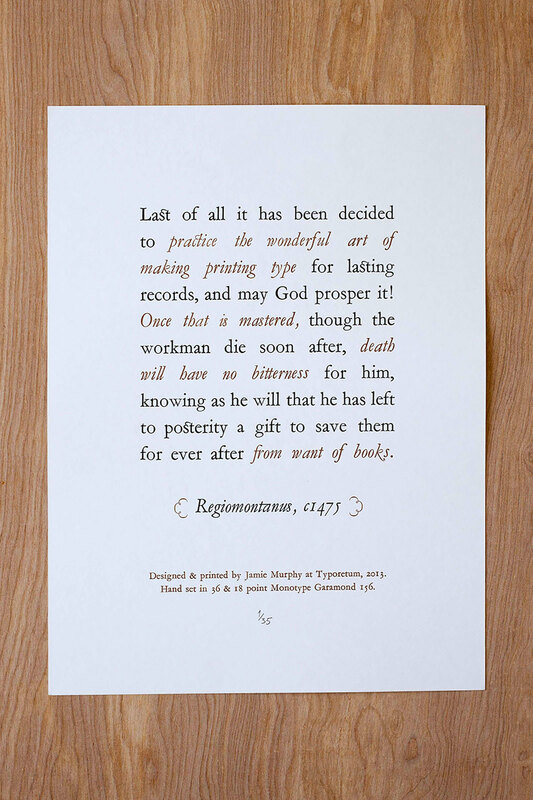 The quote was sourced from Harry Carter’s ‘A History of Typography up to 1600’.